Time for another TSJ #ShortMovieReview. 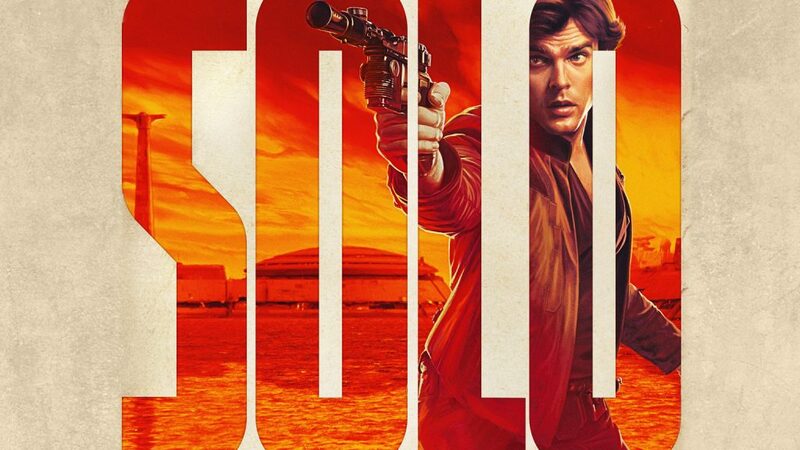 SOLO — A STAR WARS STORY is a highly entertaining movie, delivering the history of Han Solo, the Millennium Falcon, Chewie and others in a fast-paced, f/x-filled joyride. Despite the tumultuous filming history, the changing directors and the re-writing and reshooting of over 70% of the film, it all works. It’s basically a heist movie that shows the evolution of a scoundrel and rogue. 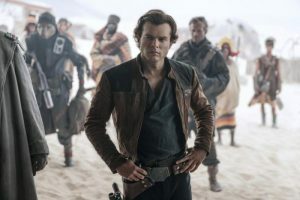 Alden Ehrenreich doesn’t play Solo as the Han we all know — he’s still ten years removed from that — but there are glimpses of it, and he did an admirable job. The last two years must have been extremely stressful for Ehrenreich, but he pulled it off. Give the character a few more movies and he’ll become Solo from A NEW HOPE, and this makes more sense to me than having the actor perform a perfect imitation. That just wouldn’t have made sense. 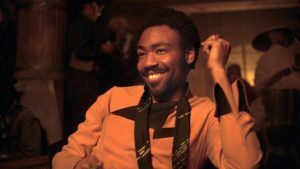 Donald Glover is the true standout in SOLO, however, and I hope to soon see a Lando Calrissian film. (Perhaps Disney could put him in the upcoming Boba Fett movie?) SOLO also advertises that there is more to come in the Han Solo story … and the reveal is frankly stunning. See the film before you hear spoilers. The only negative I can think of might be a lack of humor. It’s a solid film, but it’s dark, and I remember Han Solo delivering a lot of laughs in the original trilogy. Then again, no one can replace the irreplaceable, and as filmgoers we have to accept that fact. I’m looking forward to the next SOLO film. This one was entertaining, it moved quickly, and it was a great time at the theaters. Grab your popcorn and get ready for hyperspace.